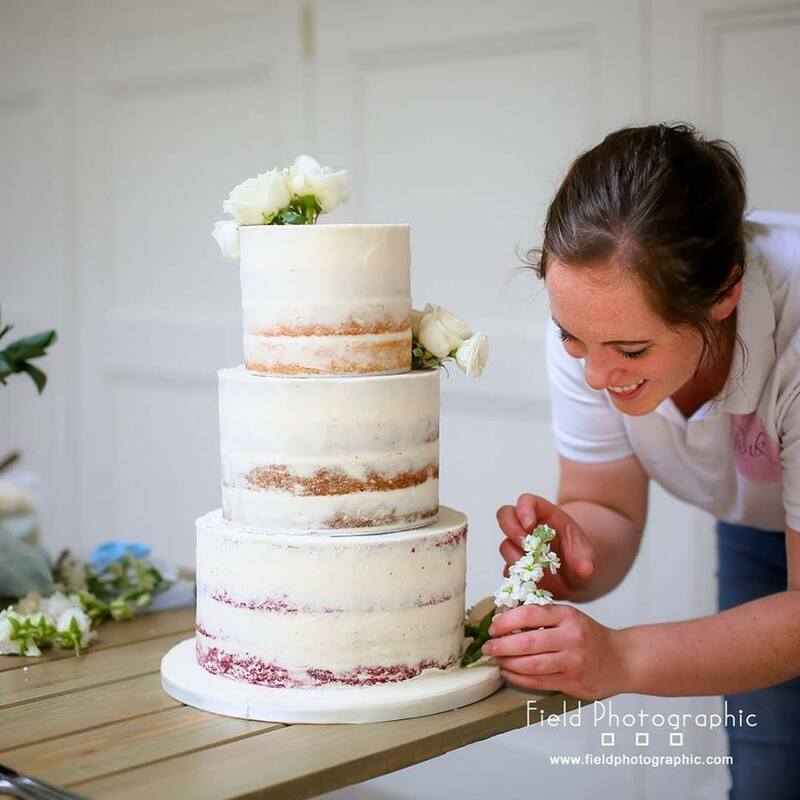 The Pink Cake Box is East Midland's leading and multi-award winning wedding cake design studio. Beautiful and luxurious wedding cakes designed for your wedding day and created with love and artistic flair from my studio in Bakewell, derbyshire. With 10 delicious signature flavours, I really believe that your wedding cake should always taste as good as it looks. Naked, semi-naked and buttercream wedding cakes are definately a trend that is here to stay! Beautifully rustic yet still stunningly beautiful and each design unique. Teamed with beautiful fresh florals or scrumptious fresh fruit they look practically good enough to just dive straight in to, no faffing with any sugar paste icing! As a self confessed cake artist perfectionist, being able to create amazing and unique wedding cakes with that extra wow factor is what I love the most! Given your colour scheme, personality and general vision for the day I can really get creative and design something amazing up for you both. You can rely on my 8 years expertise in designing wedding cakes and meticulous attention to detail to add in all those extra little design features as I am creating your wedding cake that you didn't even know would really make your cake simply one of a kind and a centrepiece for your big day. I think it is super important to love what you do, I truly believe in quality over quantity so I only take on a really limited amount of work every week to make sure that all of my wedding cakes are created with the love and care that they deserve. Thank you, you have signed up to The Pink Cake Box's newsletter!